In a video screen-shot, Justice Sandra Day O’Connor (center) describes a proposed judicial selection plan. The dialogue over how we select judges continues in earnest across the country, and retired Justice Sandra Day O’Connor continues to be in the thick of it. The new proposed plan was issued by the Institute for the Advancement of the American Legal System. The proposal comes out of the Institute for the Advancement of the American Legal System (IAALS). You can read more about the news here. Would you like to see where your state stacks up in its judicial-selection method? The IAALS, at the University of Denver, breaks it down here. A press release and link to the full report are here. 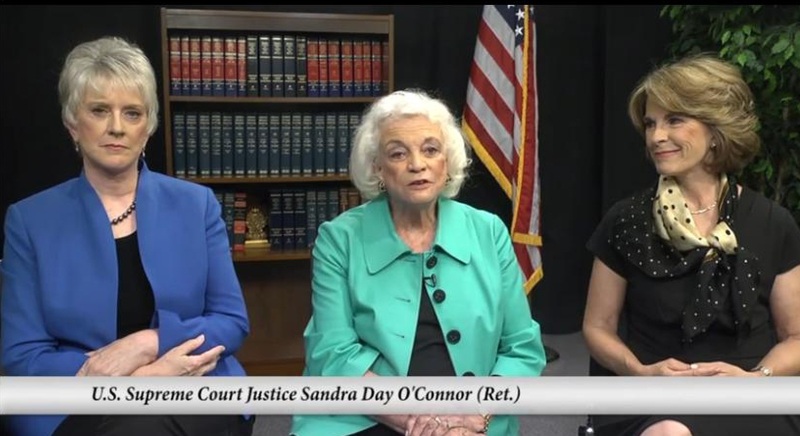 Finally, for a quick synopsis of the O’Connor Plan, watch this video with the Justice herself, along with retired Arizona Chief Justice Ruth McGregor and IAALS Executive Director Rebecca Love Kourlis.